In his final State of the Union address, US President Barack Obama put Vice President Joseph Biden in charge of a new national effort to end cancer as we know it: the Cancer Moonshot. The goal: "To make a decade worth of advances in cancer prevention, diagnosis and treatment in five years." It's a broad-reaching, collaborative effort involving cancer researchers, healthcare professionals, patients, advocates and others with innovative ideas to contribute. To support cancer research, Elsevier is providing free access to data, metrics, video-interviews and other resources to support research and other activities critical to this initiative. We hope researchers, healthcare providers, funders and government agencies in the US and beyond will find these resources helpful. The site will be updated as new data becomes available. Cancer Essentials is a bi-monthly collection that provides current content on timely topics at the forefront of cancer research and oncology. 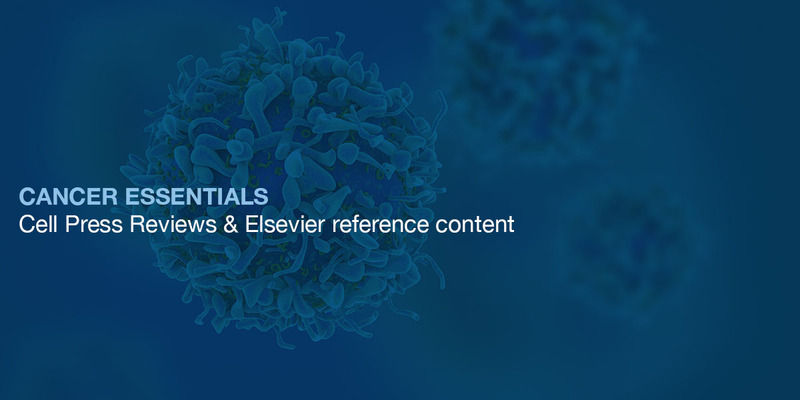 Its curated by the editors of Trends in Cancer (Cell Press Reviews) and Elsevier's reference books on cancer. The content follows a progressive narrative to guide logical, easy reading. DNA Repair (June 2018): In this inaugural volume, we invite you to learn more about the many aspects of DNA Repair, from experimental tools and methods, to pathways and signaling, genome instability, new drugs and clinical translation. Immunotherapy (August 2018): This issue assembles major reviews on cancer immunotherapy, providing an important update to a field now recognized as a critical prime mover in future combination treatments to eradicate deadly cancers. Stem cells (November 2018): Cancer stem cells, also referred to as tumor initiating cells or tumor propagating cells, are certainly a barrier to progress. How do we target them for an achievable cure? A fundamental shift in how cancer research is conducted and how cancer care is delivered in the United States is required in order to deliver on the US Cancer Moonshot initiative, according to a major new report published October 31 in The Lancet Oncology journal. 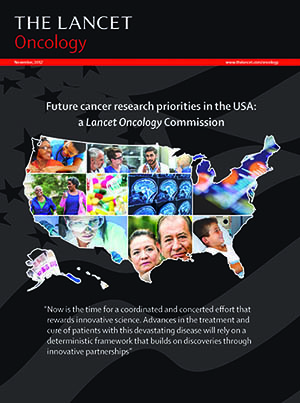 Future research priorities in the USA: a Lancet Oncology Commission presents a detailed roadmap, including a focus on prevention, a new model for drug discovery and development, a vast expansion of patient access to clinical trials, and an emphasis on targeted interventions to improve cancer care for underserved groups, specifically children, cancer survivors and minority groups. The report emphasizes the importance of addressing health disparities in all recommendations. Authored by over 50 leading oncologists in US, the report sets out 13 key priority areas, each with measurable goals, to focus the $2 billion of funding released to the National Cancer Institute as part of the 21st Century Cures Act. It highlights how technological advances, including understanding and mapping pre-cancer biology and the rapid adoption of big data, as well as new collaborations across industry, patient groups, academia, government and clinical practice will be critical to advancing research, and ultimately improving patient care. The report was launched on November 1 in Washington, DC, and will be presented November 3 at the United Nations Association of New York Humanitarian Awards, where former Vice President Joe Biden is being honored for his work on improving cancer outcomes as part of the US Cancer Moonshot Initiative. 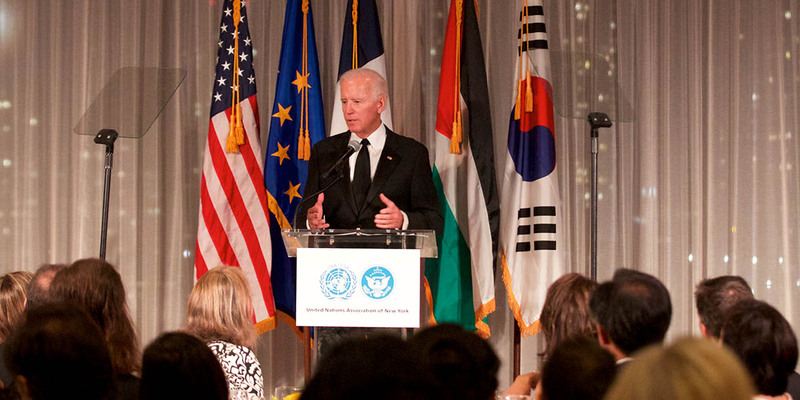 Former VP Joe Biden addressed a national gathering at the UN November 3 that brought together cancer experts, policymakers, diplomats, UN supporters, and leaders of academia and business. He was there with Elsevier Chairman Youngsuk “YS” Chi to accept Humanitarian of the Year awards from the United Nations Association of New York (UNA-NY). 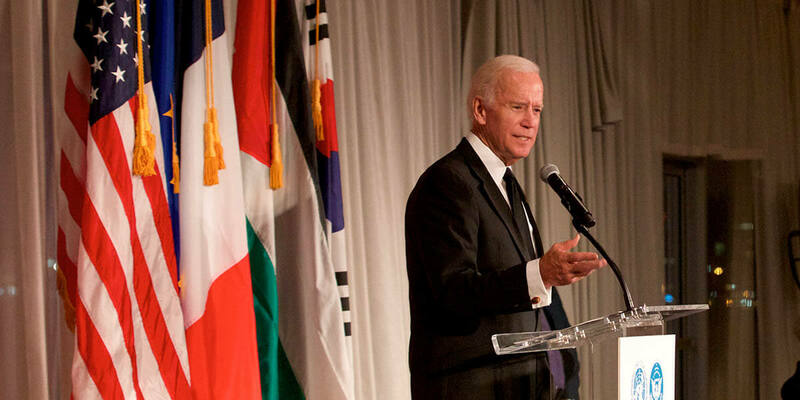 Biden was recognized for his efforts in leading the Cancer Moonshot initiative, which has resulted in new programs and multidisciplinary collaborations to improve cancer research and care, while Chi was recognized for Elsevier’s support for the initiative. Read more. 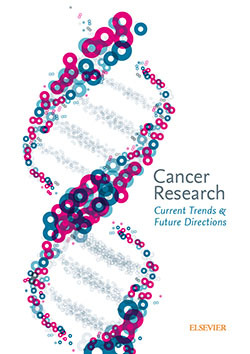 With this report — Cancer Research: Current Trends & Future Directions — Elsevier aims to benchmark and map out the global landscape of cancer research to provide helpful new insights. The initiative to speed up cancer research, currently called the "Cancer Moonshot," is administered through the White House. After the incoming administration develops its priorities for its support for the initiative, we are looking forward to continuing to produce additional installments of the benchmark report. The nature and number of installments is not set and will be informed by input from the community and an advisory board. We anticipate four to six topic-specific installments plus an analytical summary. Our hope is to release the full report by the end of 2017. This first installment of the Elsevier benchmark report presents an overarching view of emerging trends, many of which will be examined in greater detail in subsequent chapters. Washington, DC, October 17, 2016 — Vice President Joe Biden hosted a private event at the White House to discuss the Report of the Cancer Moonshot Task Force released that morning and chart the progress of the initiative, led by Executive Director Greg Simon. 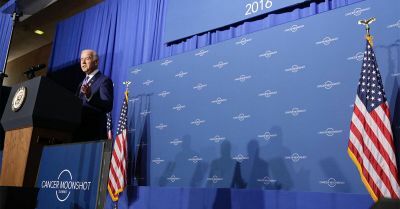 Biden said the effort’s funding cannot be centered on the work of individual researchers but on partnerships that will help realize the goals of the Moonshot. He called on participants to help transform it into a true "social movement." The partnerships announced at the meeting included both business and philanthropic commitments to support research and data-sharing. Truly the most important person in the room was sitting right next to me. Her name was Scarlett James, and she was the only child in the room: a T-cell lymphoma survivor at the age of 9. Suffice to say, it put everything into sharp perspective. The patient was truly at the center of the conversation. Read more about this meeting and the new partnerships. Read the Report of the Cancer Moonshot Task Force and related content. Watch a video of the press briefing below or read the transcript. Shortly after Beau died, I asked myself, ‘What would Beau do if he were here?’ And I devoted my life to doing what I thought Beau would do. … I know that if it were reversed, Beau would be spending his time doing all in his power to try to bring together these great minds in the cancer research field all around the world to focus, and have a greater sense of urgency, on what can be done in the next five years that would ordinary take 10. There have been hundreds of thousands … of cancer genomes that have been sequenced – all this data. And one of the things we found out is that, if we’re prepared to share this data, which the culture of medicine isn’t prepare to do yet … we can find answers. These papers relate to the recommendations put forward by the Cancer Moonshot’s Blue Ribbon Panel. 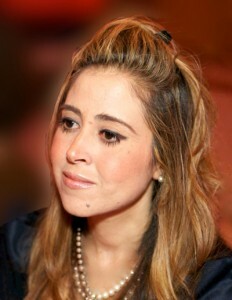 They have been carefully selected by Elsevier’s oncology journal teams. We have made them freely available.